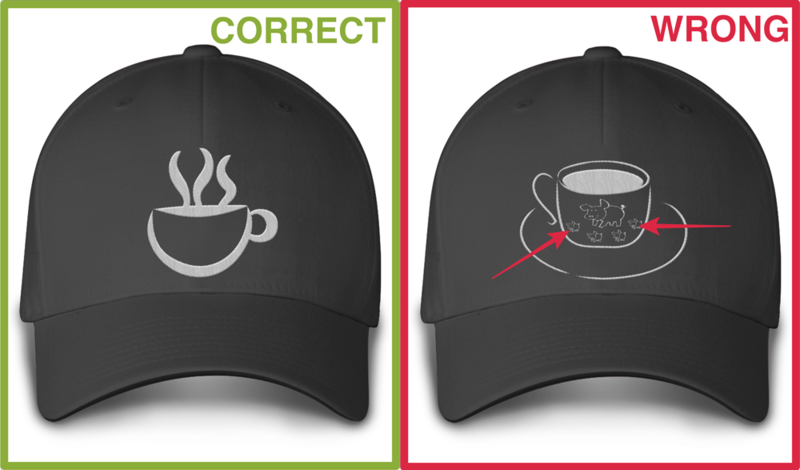 Teespring offers several high-quality hat product options for sellers including trucker hats, snapback hats, dad hats, and beanies. Hat designs are embroidered and each item is made to order. 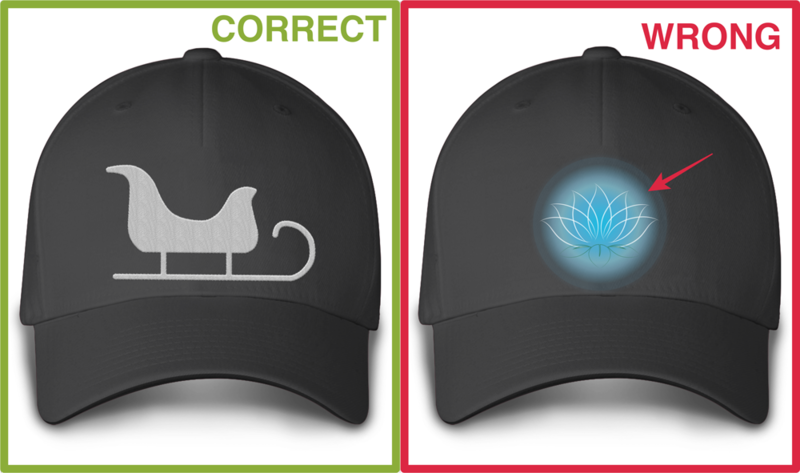 You can customize your hat selection with unique designs featuring up to six colors. This product is being rolled out to seller accounts over time. You can visit the Teespring Launcher to see if you have access to hats as well as our newest on-demand products now. 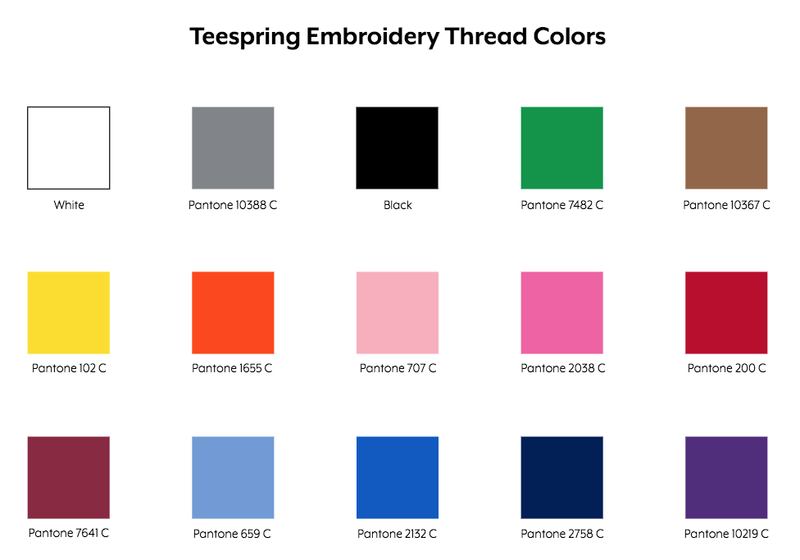 You can request access to these products too—learn more about TeespringGo. 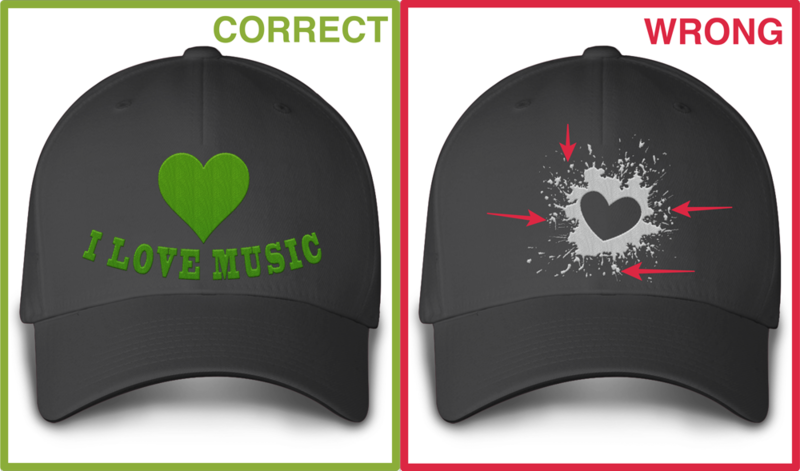 Please note there are no upfront inventory costs, however, hats do incur a one-time, $10 digitizing fee per design. 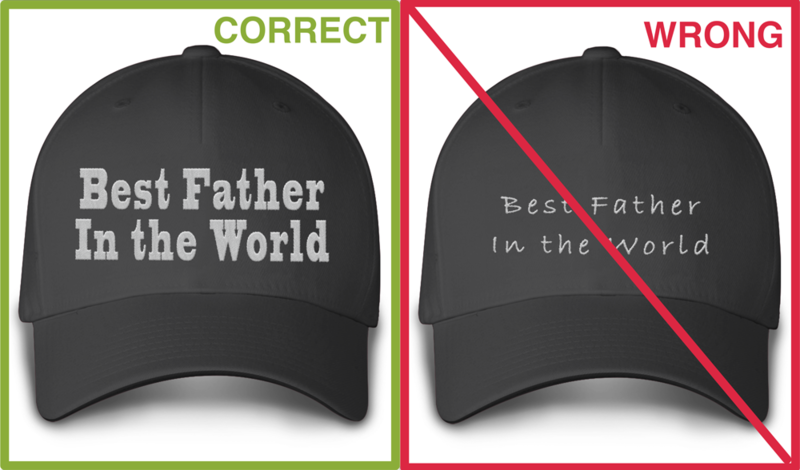 Each hat design must be digitized before a listing is created. The digitizing fee is only charged once and is deducted from a seller’s account when the new hat listing is created. 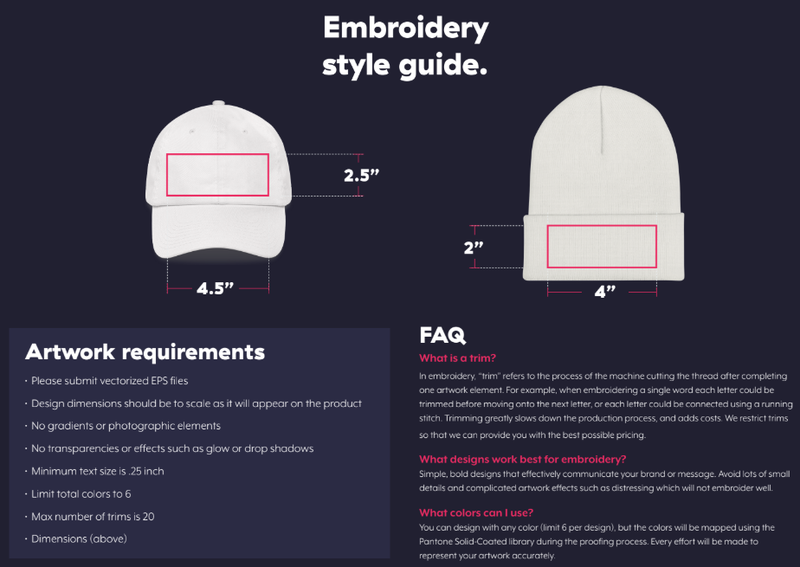 Please note beanies require a separate $10 digitizing fee because they require a different design file than the caps. 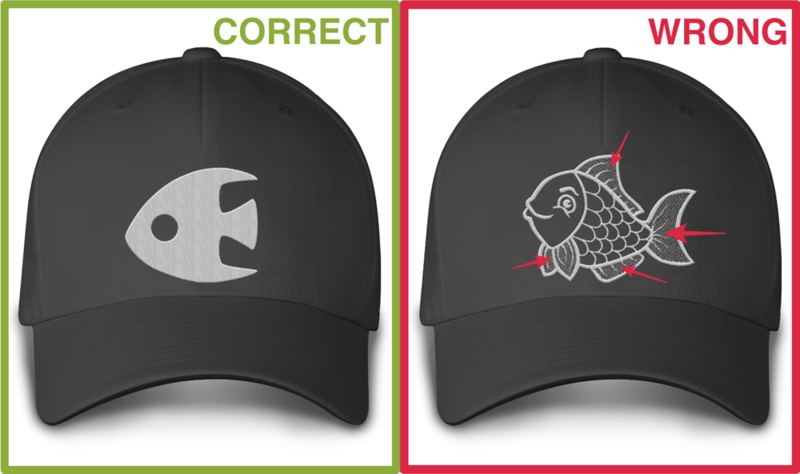 Keep in mind you will need to create your own hat designs using software like Adobe Illustrator (vectorized .eps file format). Designs submitted that do not meet design file requirements will be rejected. 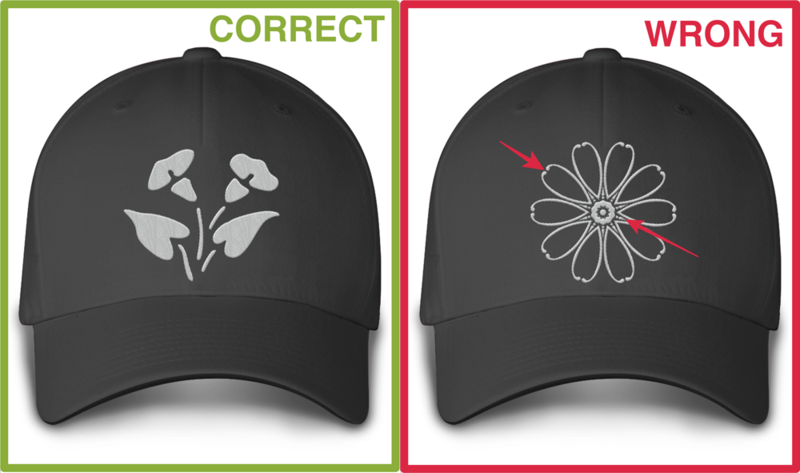 Download the hat embroidery template below to ensure your design is formatted correctly and features available thread color options. Hat designs are bit more complex than other garments; this is because designs are stitched (not printed). For this reason, it’s important to understand what designs work and don’t work. Design line thickness can’t be smaller than 4pt; any fonts/texts used should be at least 18pts. Please make sure all the elements in your design are no smaller than 1/8″. Go for simple designs, avoid using too much design detail. Negative space between elements needs to be at least 5mm. Avoid using gradient design effects. Avoid including thin/small design elements. Hey Gareth, thanks for being patient! We’re granting access to users little by little for this product.